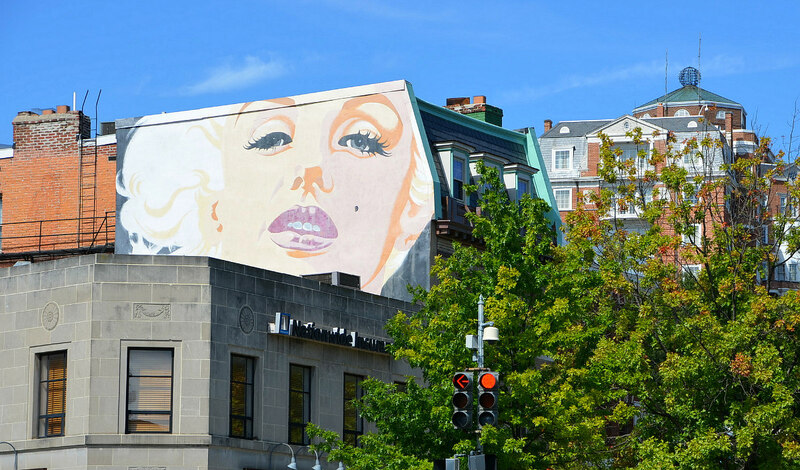 The Marilyn Monroe mural at the southern edge of Woodley Park. When Benjamin Fresquez moved to DC in March 2017, he didn’t know much about the city—or its neighborhoods. What he did know was that he needed to live near Dupont Circle for his job. So, on a walk up Connecticut Avenue, he stumbled across Woodley Park. There are relative newcomers like Fresquez, younger renters living in Woodley Park’s historic apartment buildings, and then there are people like Warren Gorlick, who have been in Woodley Park for nearly 25 years. Living in a semi-detached rowhome he shares with his wife and two daughters, Gorlick belongs to the class of Woodley Park residents who bought homes in the neighborhood —and stayed put. 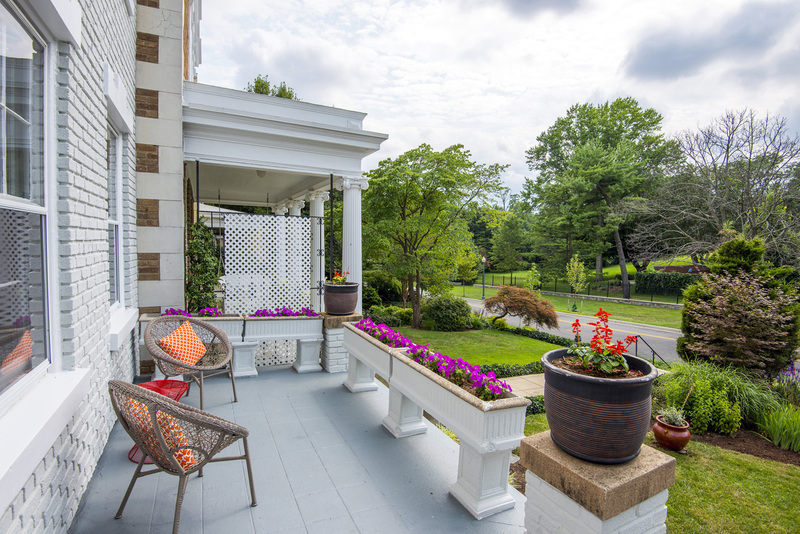 A porch in Woodley Park. The desire for that mix between connectivity and relative quiet makes Woodley Park a popular Northwest DC neighborhood. It also makes these streets an exclusive location where rising real estate prices and low inventory make it somewhat difficult for people to plant their own roots. 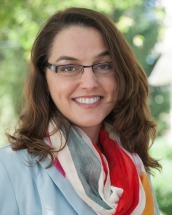 Due to high real estate prices, most younger residents must look elsewhere when they want to buy a home, which is playing a part in one of Gorlick’s concerns about the neighborhood: the state of the business district. One hope for competitiveness had been the development plans for the Marriott Wardman Park Hotel, which was set to include five residential buildings and underground parking garages. But in September 2016, developer The JBG Companies (now JBG Smith) nixed the project and put the property up for sale. Some Woodley Park residents were concerned about the neighborhood’s ability to handle so many new residents. Known as the “Woodley Regulars,” these residents took issue with the development plan’s potential to dramatically increase the neighborhood’s population density and add unwanted stress on Woodley Park’s infrastructure. Woodley Park’s boundaries, according to the Woodley Park Community Association, are generally considered to be the area’s two major parks—Rock Creek Park and the Smithsonian National Zoological Park—to the east; Cleveland Avenue NW and 34th Street NW to the west; Woodley Road NW and Klingle Road NW to the north; and, to the south, Calvert Street NW. Two of the neighborhood’s draws are proximity to Rock Creek Park and the schools, including Oyster-Adams Bilingual School, Maret School, and John Eaton Elementary School. Then there’s the neighborhood’s most popular—and nationally known—attraction: the Smithsonian National Zoological Park. The zoo draws a lot of crowds to the neighborhood, including tourists and visiting families, but it’s not something that bothers residents like Fresquez. “While there’s lots of activity, it doesn’t feel quite as loud or obnoxious as other areas, like U Street or Adams Morgan,” he told UrbanTurf. In 1990, part of Woodley Park was placed on the National Register of Historic Places. 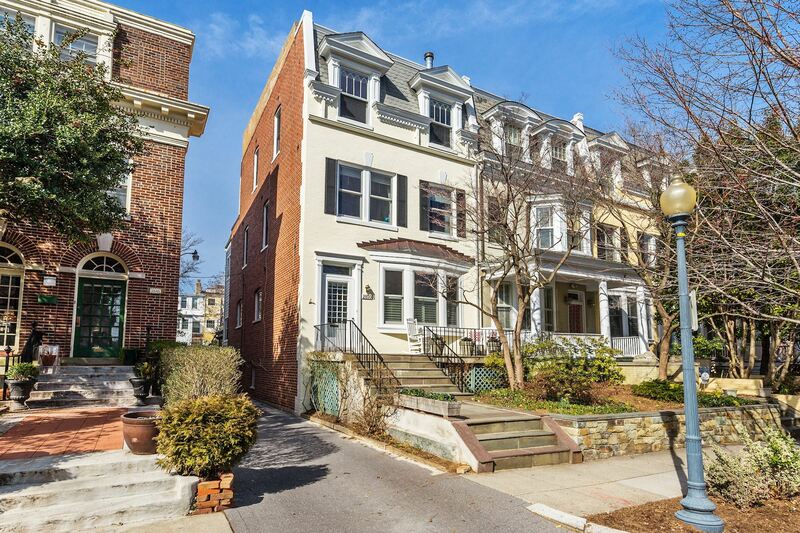 According to the official paperwork, the neighborhood’s roots go back to the 1870s, when the area was originally plotted as a suburban area outside of Dupont Circle. Early residents with summer homes (yes, summer homes) in this wooden expanse included President Grover Cleveland and Gardiner Greene Hubbard, the founder of the National Geographic Society. Starting in the 1920s, commercial development transformed Woodley Park and complemented the row homes, brick duplexes, Tudors, and Cape Cods sprouting up along the streets. It was this period that saw the creation of the Wardman Park Hotel (originally known as “Wardman’s Folly” by residents who feared the site would scare off visitors). Throughout the decades of growth, the wood was never taken out of Woodley Park. Given the way residents speak about Woodley Park, it’s no surprise real estate is at a premium here. 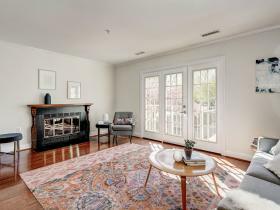 Turnover is rare in Woodley Park, and when a house does go on the market (whether it’s a two-story rowhouse or a grand detached home), it’s usually snatched up quickly. According to Mooney, homes spend about four days on the market in the neighborhood these days. Mooney said it’s a lot easier to find a condo in Woodley Park than a single-family home. And prices have increased there as well. 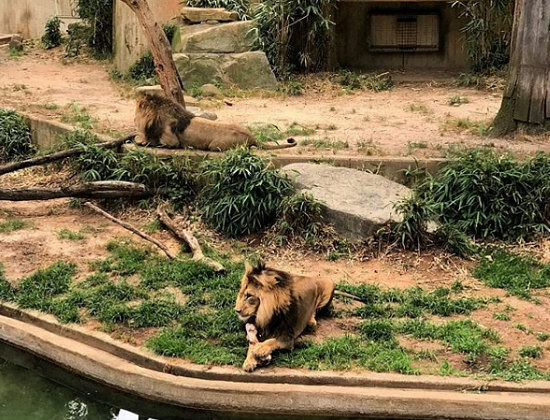 The Smithsonian National Zoological Park -- Woodley Park’s flagship feature brings you up close (at the right time of day) with a menagerie of animals. Plus, it’s free to get in. 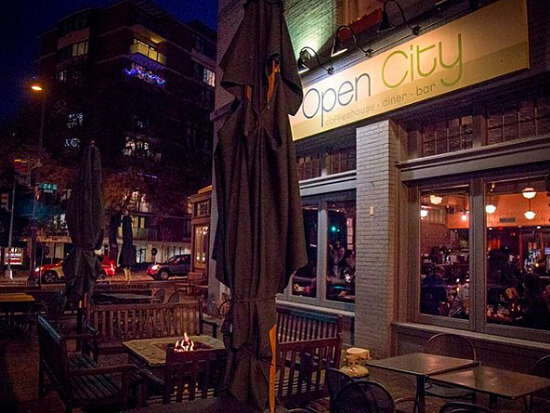 Open City -- Sister restaurant to nearby Tryst in Adams Morgan, Open City is popular with young and old alike. Serving traditional American fare, you’ll likely have to wait if you’re planning on stopping by for Saturday or Sunday breakfast. Tregaron Conservancy -- Located on the northern edge of Woodley Park, this lush and restorative natural space is perfect for casual strolls and botanical investigations. And you can walk your dog there, as well. Rock Creek Park Trails -- Gorlick loves how the neighborhood puts a range of trails at his fingertips (or, rather, his feet). By hopping on at Calvert Street NW, you can walk or bike down to Georgetown or up to Chevy Chase. Hot N Juicy Crawfish: Fresquez recommends this Las Vegas import for people hungry for crawfish, shrimp, and lobster. “It’s a big draw for people who want to feast and dig in with their hands,” he said. Connecticut Avenue and Calvert Street NW serve as the spine of transportation in Woodley Park. It’s here where you’ll get access to major bus lines, including the L series and the 96 bus. Nearby, you’ll find the neighborhood’s eponymous Metro station, Woodley Park-Zoo, which serves the Red Line. For getting around town, one popular way is by bike. Given Woodley Park’s accessibility to networks of biking lanes and trails, it can be easy to get around on two wheels instead of four. Parking on neighborhood streets can be iffy, especially on weekends. However, given Woodley Park’s small size, once you’re there, the entire neighborhood is pretty much walkable. There’s no denying just how much residents of Woodley Park love their neighborhood. It’s charming. It’s historic. But it’s also expensive. Three months into his lease at Hampton House, Fresquez wouldn’t want to live anywhere else. But if he wants to buy a home in all this lush tranquility and architectural beauty, he’s going to need two things: lots of money and lots of patience.